For the past several months, access to Dota 2 has been granted through a queue system that gated entry into the community. We’ve used this system to gradually increase the size of our playerbase, as we ramped up our infrastructure and improved the experience for new players. 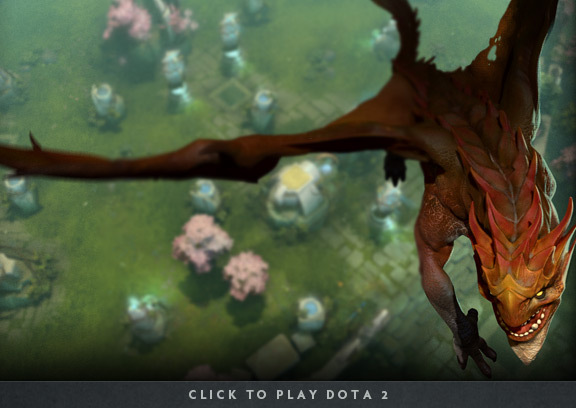 As we have recently completed a set of server management upgrades as well as released a huge number of enhancements to the new user experience, we’re going to remove all restrictions to playing Dota 2. Signups are no longer required to access the game, and we encourage everyone to join the 6.5 million active monthly users currently playing Dota 2. If you have a friend who hasn’t tried Dota 2 yet, be sure to take advantage of the new recruitment feature to get additional bonuses for both you and your friend. To download and start playing Dota 2, you can head to the Dota 2 Steam page and click the green ‘PLAY GAME’ button. We hope you’ll join the Dota 2 community.